Ring of Kerry has a wealth of places to stay. 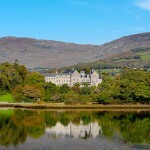 Glencar Resort Hotel lies in the heart of the Kingdom of Kerry. Unspoiled by the passage of time, this 350 year old establishment is as old as the trees surrounding it. The Hotel boasts panoramic views of valleys and woods; including the MacGillicuddy Reeks, home to Carrauntoohil, Ireland’s highest mountain. The famed Kerry Way walking route winds past the grounds of Glencar Resort Hotel, which offers easy access to many more small walks with which to explore the wild Kerry countryside. The Hotel also enjoys the distinction of being the oldest and one of the greatest fishing houses of Ireland. 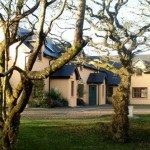 The Glencar Resort Hotel has en-suite rooms that include complimentary WiFi and TV. These consist of Double, Twin and Suites. We also have a specially-adapted room that allows easier access for customers with disabilities. This includes a fully adapted bathroom, living room and, if required, an adjoining bedroom. With all this, the Glencar Resort Hotel itself is surrounded by stunning garden grounds; a quaint picnic area and beautiful horses grazing right outside our doors. Inside sit two warm and hospitable pubs, a championship size snooker table and a restaurant with views of the imposing Reeks and the breathtaking landscape of lower Glencar. 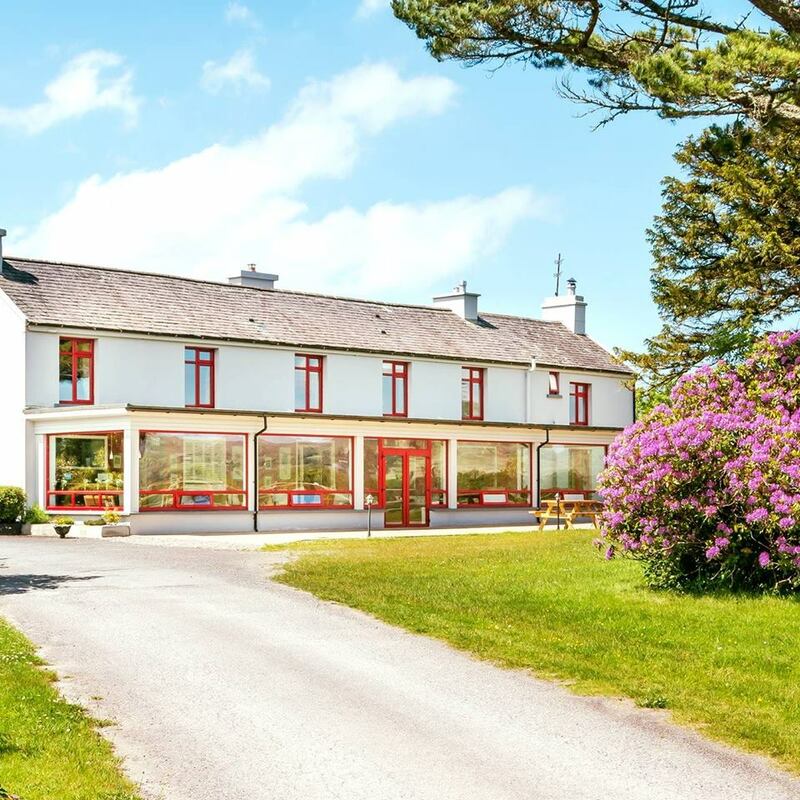 The Glencar Resort Hotel presents the optimal location for exploring all that the Kingdom of Kerry and Glencar has to offer, creating a relaxing retreat or an adventurous outing. We ensure a pleasant and memorable stay. 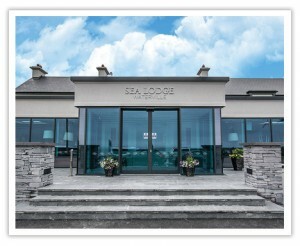 The Sea Lodge Hotel building has been extensively renovated with no expense spared; making it a true boutique hotel. Sea greens, sky blues and soft taupes form the colour palate of this small but perfectly formed hotel in the Ring of Kerry. There are 12 beautifully appointed and exquisitely designed en-suite bedrooms. The bedrooms are all about comfort with plush pillows, thick mattresses and Skelligs Chocolate treats! Part of the attraction of Waterville is that stunning view of Ballinskelligs Bay. Sea Lodge Hotel has made the most of this with their Sea View balcony rooms. You can sit over a drink or a coffee and gaze out onto the horizon. It’s your personal snapshot of the Wild Atlantic Way – a view that is old as time itself. The Lough Bar is where you can relax over a drink or enjoy great local food prepared by an award-winning kitchen team. Read a book, peruse the papers, catch up online or play some old-fashioned board games in the Library. Later on you can dance your socks off to live music or disco in the Legends Ballroom. The Butler Arms Hotel, located in Waterville on the Ring of Kerry, is one of the region’s top family-run hotels. Run by local Waterville hotel family, the Huggards (5th generation of hoteliers! ), both Paula and Louise bring their highly professional style to this property, making it one of the most renowned hotels in Waterville. With 36 elegantly decorated guest rooms, a popular fine dining Kerry restaurant and welcoming bar – the hotel attracts guests from around the world (some famous!) with its uniquely warm Irish welcome, luxurious facilities and wonderfully scenic location in the heart of Waterville. Winners of many awards for excellent cuisine, the Butler Arms Hotel restaurant offers a varied menu, specialising in a variety of fresh seafood & local meats complemented by an excellent wine list. All of the seafood on their menu is caught daily by local fishermen in the bountiful waters of the unpolluted south-west coast. The hotel is within easy reach of a host of activities and attractions, yet provides the perfect hideaway in which to relax and indulge yourself. Whether you want to explore the local countryside of Waterville or Kerry, relax on the beaches, or have an action-packed sporting holiday, their staff will be happy to help with the arrangements. 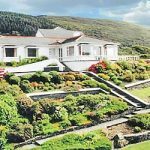 Iveragh Heights B&B is a modern guesthouse where the emphasis is on relaxation with a superb location on the Ring of Kerry and magnificent views from all bedrooms. Close to the Kerry Way with miles of safe, unspoilt sandy beaches and subtropical vegetation in Gulf Stream climate close by. All rooms are with en-suite bathrooms, large bedrooms with big beds, choice of breakfast and free packed lunch available when staying two days or more. Pick up from Kerry Airport can be arranged. 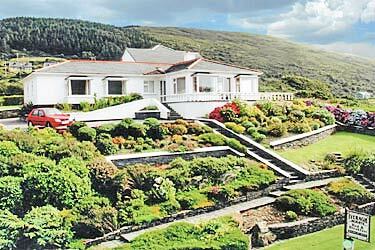 Using Iveragh Heights B&B as a base, there are a variety of things to do and see: Cahergal & Leacanabuaile Stone Forts – Ballycarberry Castle and the famous Skellig Rocks – Walking tours of Kerry Walk all year round – Cycling – Golf – 18 hole championship course – Sea and shore angling – many species – Trip to Skellig Michael arranged – Diving – tuition available – Horse Riding – Canoeing and Sailing – Swimming – Best seafood restaurant – Ideal for artists – spectacular sea & mountain views can be painted from the patio. 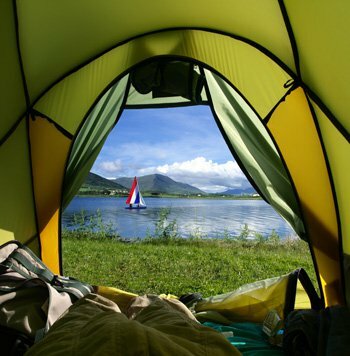 Situated at the edge of Europe, Mannix Point Camping & Caravan Park (Camping in Kerry) is a tranquil place with 500 metres of waterfront and spectacularly located near Cahersiveen, Co. Kerry. It is surrounded on three sides by hills and mountains and faces the Atlantic islands of Valentia and Beginish on the south west. It is described in prestigious travel guides as “one of the best campsites in Ireland,” “one of our best addresses,” “a nature lovers paradise” and much more. In 2014, they celebrating 30 years of providing memorable experiences of Camping in Kerry for visitors and friends from 5 continents. Mannix Point was opened as a Camping and Caravan Park in 1984 and has won fifteen national and international awards including The Award of Excellence and The Best Welcome in Europe. The impeccably clean on-site facilities include a cosy campers’ sitting room with turf fire in the evenings which is renowned for impromptu music sessions. There are no pool tables, no television and no video games. There is a campers’ kitchen and dining room with cookers, microwave, fridges and freezer plus a BBQ and picnic area. The laundry has automatic washers and dryer and the washing-up area provides continuous hot water. Clothes lines are available outside. There are two fully equipped bathrooms including a hairdressing area in the women’s room. The office and reception which is open daily from 9am until late provides an extensive range of information for visitors. Mannix Point Camping & Caravan Park caters well for tents large and small, motor homes (camper vans) and caravans with electricity, water and hard stands. Dogs are welcome and there is ample exercise space for them along the foreshore. On the park they must be kept on leads. Park Hotel Kenmare is a vibrant hotel with wonderful facilities like our Deluxe Destination Spa SÁMAS, SISLEY Treatments, 25mt Lap Pool, Cinema and daily lifestyle classes, but a place where we are not ashamed to be old fashioned. 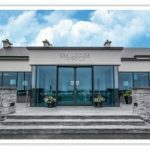 This Victorian landmark, dating from 1897, with its splendid views over the glistening waters of Kenmare Bay, the ever changing light of the Cork and Kerry Mountains, the adjoining 18 hole golf course, garden walks and the Heritage Town of Kenmare is home to one of Ireland’s finest hotels. Tradition, in every sense, is important to us as is the fun of today, the devilment of a younger guest, the delight of a couple holding hands and the delivery of true service. It is a rare place where the decadence of the past is married with the modernism of today. Park Hotel Kenmare, a little Irish magic in the Kingdom of Kerry, on the majestic Wild Atlantic Way awaiting your arrival. Each of the five spacious Holiday Homes at the Eclipse Centre Self Catering Apartments offers a relaxing, contemporary design defining a well-appointed living environment whilst maintaining charm and distinction. Each unit accommodates between 4 and 7 people depending on house type. Custom built, the properties are designed to exceed the needs of the modern family and are furnished with all the conveniences of modern life. 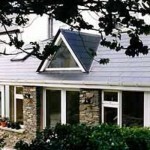 Eclipse Cottage 1 has a downstairs single bedroom and a roll in shower adapted for wheelchair use. All houses are light and airy with porcelain tiled or oak flooring covered with beautifully coordinated rugs. The well equipped large kitchen and dining area features walnut units, oak dining tables and leather dining chairs, with French doors to a private patio. Relax in the lovely bright living rooms which are tastefully furnished with comfy leather sofas, flat screen TVs with satellite stations, as well as a DVD player and hi-fi system. There is off-street parking and a patio and garden. 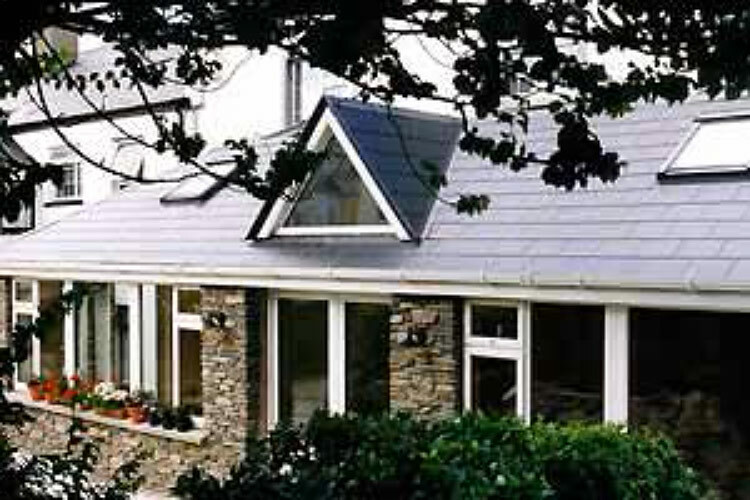 The Eclipse Centre Self Catering Apartments offer you a family holiday with peace, relaxation, adventure and fun in a beautiful and tranquil setting. A Sauna, Steam-room and Jacuzzi make up our facilities spa, that any family can enjoy. We also have walks through the estate’s woodland and gardens, which mean you can combine a wonderful leisure experience with a multitude of activities to suit all the family. The 4 Star Sneem Hotel guestrooms are airy and bright, with all the little extras taken care of. Hotel rooms have broadband access and a mini-bar for your convenience. Or treat yourself to room service 24 hours a day. A well appointed family suite and executive suite are available, while our deluxe hotel rooms offer sizeable balconies. 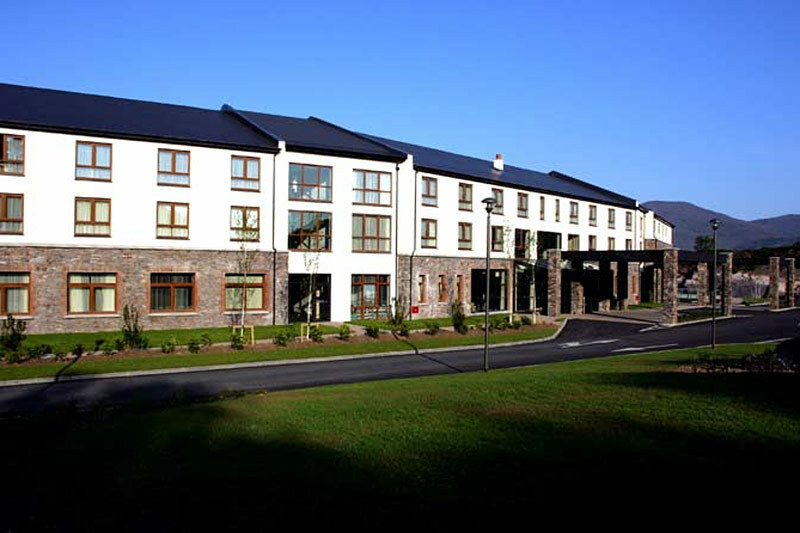 A number of rooms at Sneem Hotel have been specifically designed for disabled hotel guests. 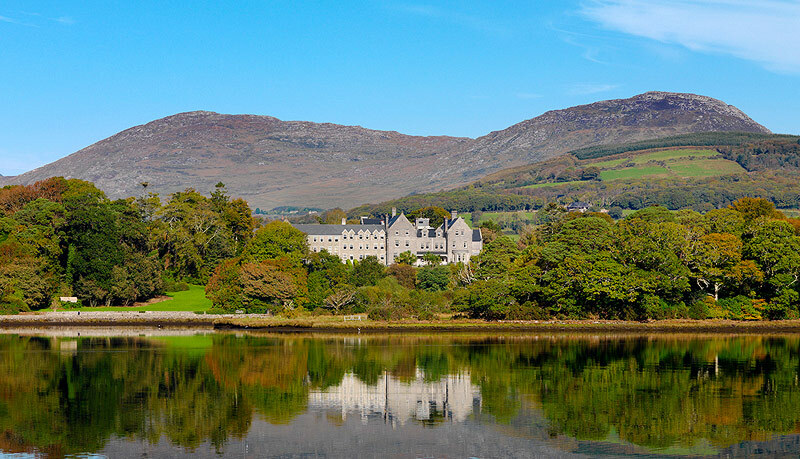 From thoughtful touches like a robe and slippers, to big windows that perfectly frame the spectacular views outside of the MacGillyCuddy Reeks and Kenmare Bay, it all adds up to a great hotel experience on the beautiful Ring of Kerry. Sneem Hotel offers a high standard of accommodation amenities in all 69 hotel guestrooms and suites which includes: luxurious private bathrooms with complimentary toiletries, tea/coffee making facilities, climate controls and a multi-channel flat screen television. Hotel guest laundry and dry-cleaning are also available. 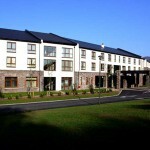 Sneem Hotel offers 4 bedrooms on the ground floor that are fully equipped for use by people with physical disabilities. Each has an internal connecting door to the next room, should a travelling companion require an adjoining room, or for families. There is a special lift, suitable for wheelchairs, to access the leisure area. All facilities have been checked and approved by the Irish Wheelchair Association. San Antoine Bed & Breakfast is a family run business with over 50 years in the hospitality industry, your host Alan is the second generation of the Landers family offering all our guests the personal touch with directions and advice on what to do and see in the South West area. 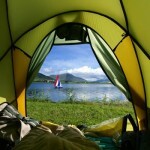 Cahersiveen is an ideal location to explore and use as a base while you travel the Ring Of Kerry. The Iveragh Peninsula offers some of the most breath-taking scenery as you travel around the Ring of Kerry. Valentia Island is another little gem off the Ring which can be explored as part of the Skellig Ring, which offers spectacular views of the Skelligs, Portmagee, Ballinskelligs, St Finnians Bay and the Fertha Estuary with views all the way up to Cahersiveen Harbour and its marina. Ideal base to explore Ballycarbery Castle & Ring Forts Cahergal & Leacanabuaile, free parking, free WiFi, airport shuttle and a wealth of local knowledge about the area await you at San Antoine Bed & Breakfast. 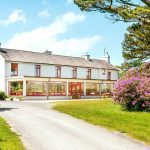 O’Shea’s Bed & Breakfast is a charming 18th century house situated in the main square of Cahersiveen, on the Ring of Kerry Road and is an ideal starting point for the Skellig. In addition, the property is located around the corner from the bus stop and was at one time used as a coast guard station. O’Shea’s Bed & Breakfast is a family run B&B nestled at the foot of the Beenetee mountain over looking the majestic river Fertha. 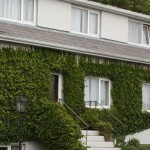 It is situated in the heart of the Cahersiveen town, close to pubs, restaurants and amenities. Tastefully decorated en-suite bedrooms, with TV and tea/coffee facilities, free WiFi and a breakfast menu. O’Shea’s is highly recommended and open from January to December. Located It is located near Skellig Michael, one of the worlds finest example of early Christian Monastic Architecture and boat trips can be arranged for you. Local history, walking, jogging and cycling routes and other tourism information is available by our friendly staff. Holistic and Sports massages are available on-site. 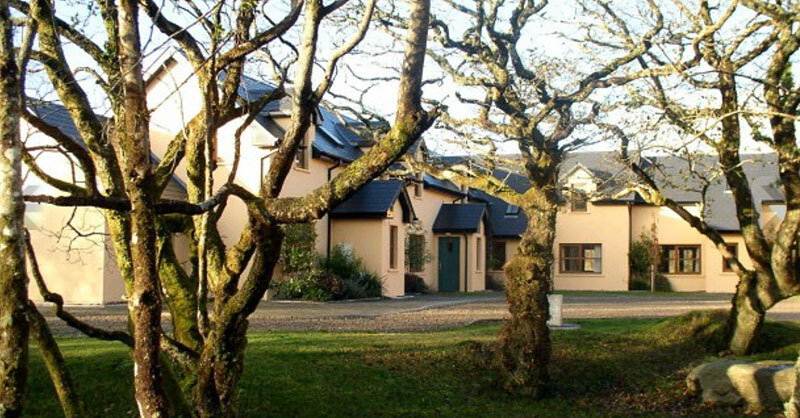 If you enjoy waking to the natural sounds of mountain streams, birdsong, wind in the trees and the sea in its many guises you should stay at the 4 Star Kells Bay Gardens Self Catering Apartments; a 19th Century country house situated on 40 acres of Ireland’s premier sub-tropical gardens featuring rare and unusual plants of the world. There are three apartments available to rent; The Bell Tower Suite, Dingle Bay Suite and Garden Suite. Situated to the side of Kells House, they are adjacent to the Primeval Forest and Walled Garden and afford intimate access to the wonders of the gardens. The individual apartments have been sensitively refurbished to offer luxury accommodation to visitors. The suites have discrete entrances to afford maximum privacy to guests. There is access to the Blue Flag beach, via a 200m walk through the Palm Gardens. The gardens at Kells Bay Gardens Self Catering Apartments are staffed and open to visitors daily throughout the year from 10 a.m. to 6 p.m. Outside these hours access to the estate is exclusive to our guests. To afford maximum protection to the special plants at Kells Bay Gardens, we regret pets are not allowed. Self Catering Prices quoted are for weekly stays (Saturday-Saturday) and are inclusive of Heating, Linen, Towels, Firewood and cleaning charges. Lettings under a week are charged on a daily basis, and incur a cleaning fee of €30. 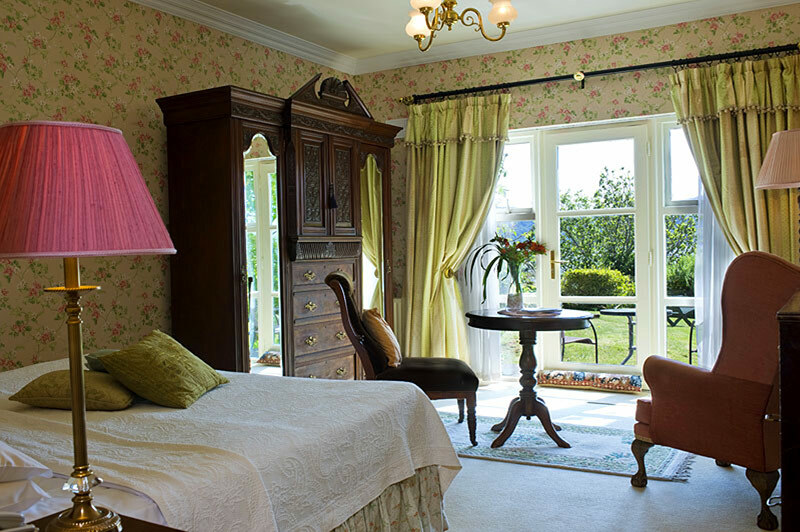 Carrig Country House is a charming and meticulously restored Victorian residence that has a sense of timelessness about it that has captured the imagination of poets and adventurers alike. Situated on the shores of beautiful Caragh Lake in Kerry, you will find the cleanest air in Europe, beautiful gardens and natural green woodlands with spectacular views across the still waters to the wildness of the Kerry Mountains. 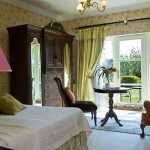 Carrig Country House has 16 bedrooms, each individually decorated in period style with antique furniture. 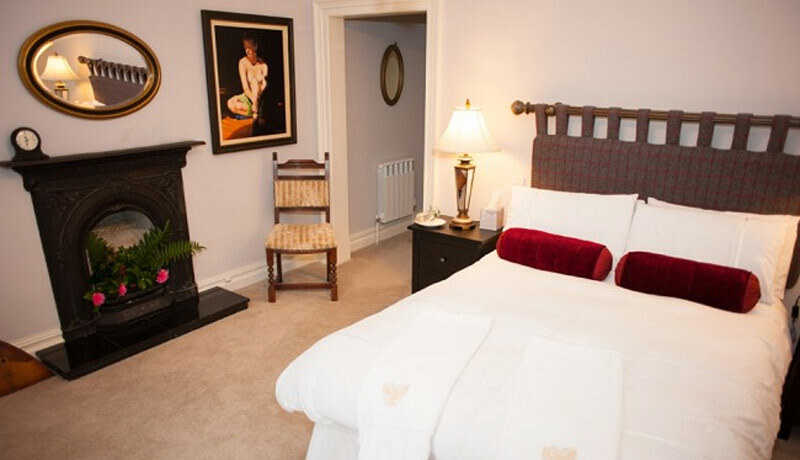 Each room enjoys spectacular views of Caragh Lake and the surrounding mountains. 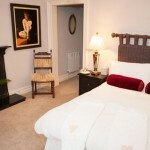 All rooms are en suite with bath and shower plus direct dial telephone. Those who like to indulge can enjoy the sumptuous comfort of the Presidential Suite with its own separate panoramic sitting room, male and female dressing rooms and bathroom with Jacuzzi bath. The Lakeside Restaurant is wonderfully situated overlooking the lake. The atmosphere is friendly, warm and one of total relaxation. The menu covers a wide range of the freshest Irish cuisine. Within the house, chess, cards and board games are available in the games room. Croquet can be enjoyed on the well-preserved lawns, whilst the gardens are a haven for gardening enthusiasts who may avail of personalised tours with the head gardener. Carrig Country House is the perfect setting for fishing, golf, cycling, canoeing and sailing. There are up to 15 excellent golf courses nearby for golf enthusiasts. © Kerry Gems. No part of Kerry Gems or KerryGems.com may be reproduced without the written permission of the owners.